God specializes in good things. Moses told the Israelites, “So you shall rejoice in every good thing which the Lord your God has given to you and your house” (Deuteronomy 26:11). Joshua told them, “Not a word failed of any good thing which the Lord had spoken” (Joshua 21:45). Psalm 34:10 says, “Those who seek the Lord shall not lack any good thing.” Psalm 84:11 adds, “No good thing will He withhold from those who walk uprightly.” Paul told Timothy, “That good thing which was committed to you, keep by the Holy Spirit” (2 Timothy 1:14). According to Proverbs 18:22, having a husband or wife is a “good thing,” but we must guard the relationship committed to us. The foundation of a good marriage begins with knowing and loving God. As we grow in Christ, He gives us the spiritual resources we need to bring patience, joy, and faithfulness into our home. Marriage is really a three-way friendship between a man, a woman, and the Lord. We must be zealous to guard that. 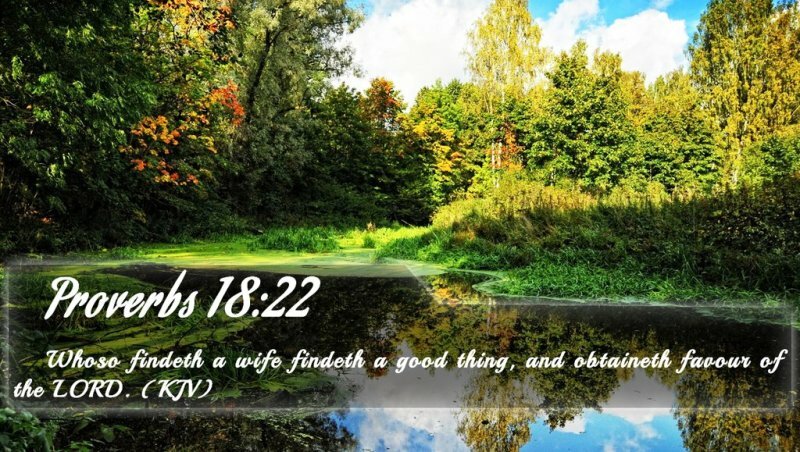 Pingback: VIDEO Good Things – Blessing of a Wife — StopAndPrayTV – Si ce ar folosi unui om sa castige toata lumea, daca si-ar pierde sufletul?